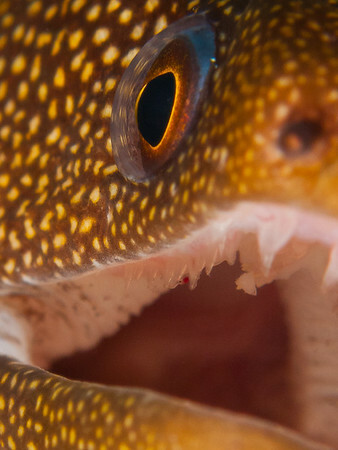 Close-up of a Goldentail moray eel. While he may appear aggressive with his mooth opened and teeth showing, this is actually how moray eels breathe. Dive site: Angel City, Bonaire.